After having been in the country for 15 years, Louis Vuitton is ready to make their presence felt even more than before. 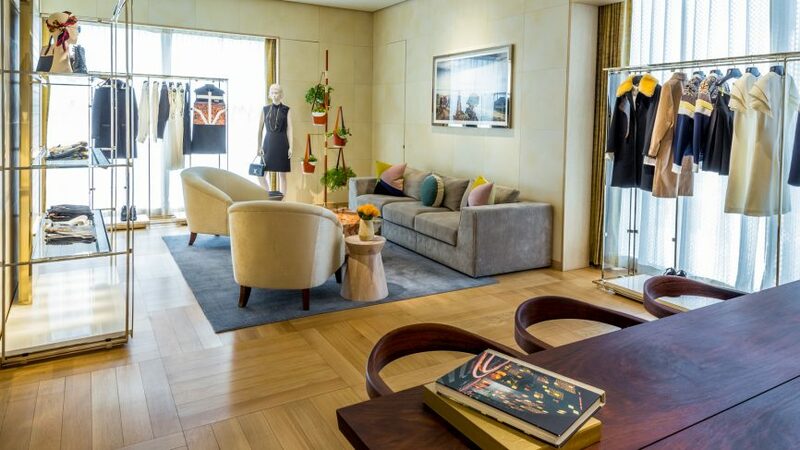 The French luxury house’s flagship store in New Delhi’s DLF Emporio Mall will now be expanding to another floor, which is great news for the fashion-forward populace of the country’s capital. But that’s not all, the new space will also be housing men’s and women’s ready-to-wear collections for the very first time now. Done up in cerused oak and gold leaf, the store has a mix of specially created furniture interspersed with vintage pieces from Paris. Designed by the Louis Vuitton Malletier Architecture Department, Paris, and Louis Vuitton Store Planning Department, Hong Kong, along with the local teams, it ensures that the patrons of the brand are in for a treat. Carpets for the store have been sourced for Jaipur and Nepal, and there’s no missing the brand’s signature checkerboard pattern ‘damier’ either, used on the exterior and flooring of the store. The ground floor introduces shoppers to the men’s and women’s collections, but it’s the first floor of the store that you need to know about. Titled ‘L’Appartement’, it is designed to mimic a luxurious apartment that houses some of the most treasured objects. Here lie watches, jewellery, exotics and even a shoe trunk designed for Maharani Tara Devi of Jammu and Kashmir. The store will be stocking a broad selection of ‘objets nomades’, small leather goods and travel must-haves, together with the full range of accessories. It will also feature footwear, watches and jewellery, as well as exclusive Louis Vuitton fragrances and gifts. Scroll ahead to have a look at the interiors of the space.